Alpha testing is all about.... BUGS!!!!!!!! BIG... SCARY.... GAME CRASHING... BUGS!!!!!!!!! Please report all bugs you find on the official HeroSmash BugForums. Q: How can I play HeroSmash? A: You will need to create an Artix Master account via our Portal Site if you haven't already. Q: What is an Alpha or Beta test phase? A: Testing phases are different time periods where we are testing a game before it is released. It also helps us squash those nasty bugs that can prevent players from enjoying the game to its fullest potential and gives us a chance to add a bunch of cool stuff in the game. In Beta, we are still testing but have also released upgrades, SmashCoins and TONS of new content and items for all players to enjoy! A: Fame is HeroSmash's in-game currency. It didn't make sense that a Hero or Villian earned money, they would earn FAME and become more FAMOUS! A: SmashCoins are the special super-uber currency that Heroes and Villians can purchase to get even more EPIC items or powers! Q: What is the current level cap? A: For the Beta phase, it is level 20. Q: What do I do if I have a technical issue or lag? A: Please visit our Technical Help Pages for more information. Q: What is Founder status and how to I get it? A: You can obtain Founder status by purchasing a HeroSmash membership or SmashCoins within the first month Beta is released. Here is our Design Notes post about Founder status. Q: What is the V.I.P Membership? A: The VIP Membership means you are a Very Important Player and you have a HeroSmash Membership! Your character name in HeroSmash will also appear Blue/Green to let everyone know you are a VIP! NOTE: Memberships are no longer available for purchase, and current memberships will not expire. Q: What are Alpha items and how do I get them? A: Alpha items are special rare items that were only obtainable in our Alpha testing phase. Q: Can I chat in HeroSmash? A: Yes you can! There will be multiple servers, including a canned chat server and a member only server. Canned chat are pre-selected phrases (safe chat mode) for those players under 13 years old. A: You can visit Beleen's Beauty Shop on Main Street East to customize your character. Q: What are the classes in HeroSmash? A: Surprise! There are NO classes in HeroSmash! This is because you do not need them. You can customize your character any way you want with Powers. A: Powers are your core fighting abilities - they are similar to the class abilities in AQWorlds but you can mix and match them any way you want! Who says you can't have fiery and icy powers? Please note, you cannot equip two of the same type of powers at the same time such as Fiery Feet levels 1 and 3. 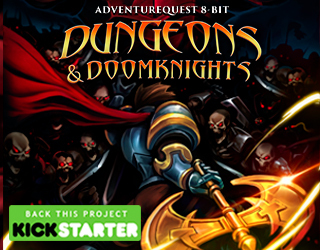 Q: How does this game fit into the AE Universe? A: It doesn't! HeroSmash is its own universe - an "alternate reality" from LORE so to speak. Q: Is there a way to delete my character? A: Yes, you can delete your character, included one that is upgraded, so please make sure you definitely want to before doing so! Q: Can I change my character's name or gender? A: No, there is no way to change your character's name or gender currently. If you do not like your character's name or gender, please create another character. A: Yes, but we STRONGLY advise against it. 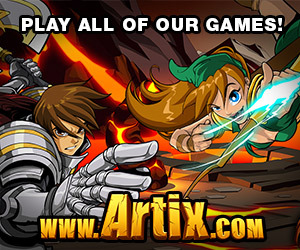 Your Artix Master Account will be so much secure if you choose different names for everything. Q: How many characters can I have? A: You can have up to 3 characters per account. Q: Do you have a paid membership in HeroSmash? A: Why, yes we do! 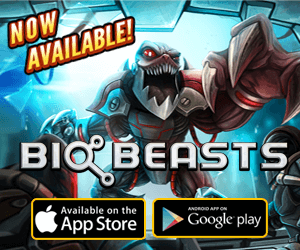 We have a special membership that SHARES a membership with AQWorlds! Here is our Design Notes post about Founder status which includes information about the membership. Q: Does my membership and SmashCoins go to all characters on my account? A: Your membership goes to your account, meaning ALL of your characters have a membership. SmashCoins are SHARED between your 3 characters, so you can decide which characters use x amount of SmashCoins. Q: What's the deal with the "Unlockable" Shops? A: We have a special idea that if you spend $20 or $50, special "unlockable" shops with uber items will be available to you!